Charleston, South Carolina has stolen my heart and has become on of my favorite U.S cities. 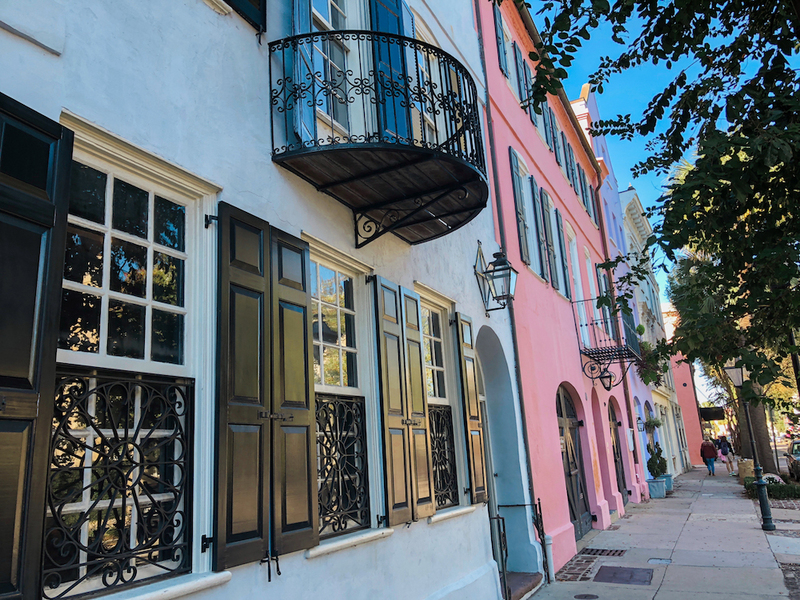 Founded in 1670, Charleston is known for its rich history, well-preserved architecture, distinguished restaurants, and friendly people. This beautiful city has something for everyone! Check out my travel guide on best restaurants, shopping, activities and hotels! 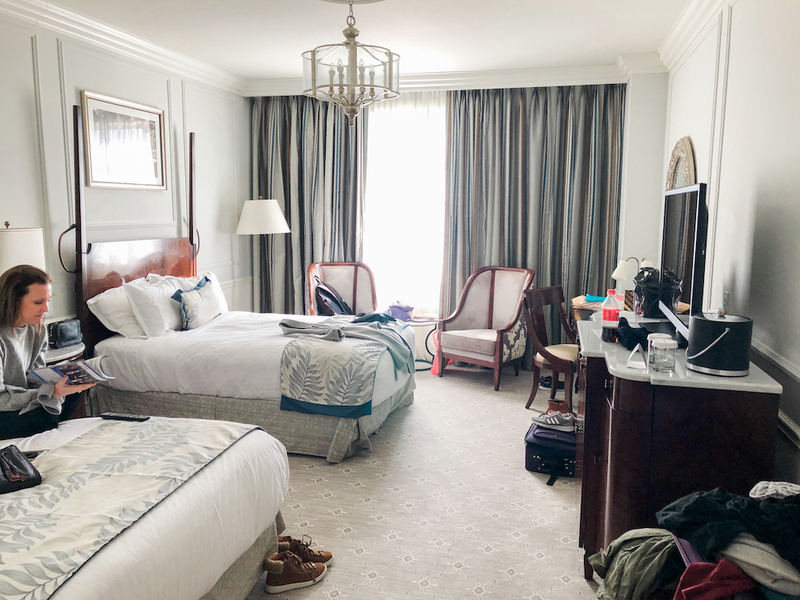 We stayed 3 nights at the Belmond Charleston Place which is conveniently located in the center of historic downtown Charleston. You can walk right out the front door and easily access all of the must see spots as well as hundreds of restaurants and shops. We flew in to the Charleston International Airport and took an Uber to our hotel which was less than 30 minutes. We never felt like we needed a rental car, because almost everything was in walking distance. Our Belmond room was extremely cozy, beautifully decorated and the bathroom was insane. The largest tub I've ever seen! The concierge service is impeccable, so definitely take advantage of it. Before almost every meal I would call and ask for recommendations on restaurants within walking distance. I was never disappointed with their suggestions. They are also able to schedule you plantation tours, walking tours, and many other services which takes the hassle out of your trip. The hotel also had a spa, heated pool, shops, and multiple restaurants and bars. The Belmond can be pricey, but for us it was very affordable through our Southwest Vacations package. 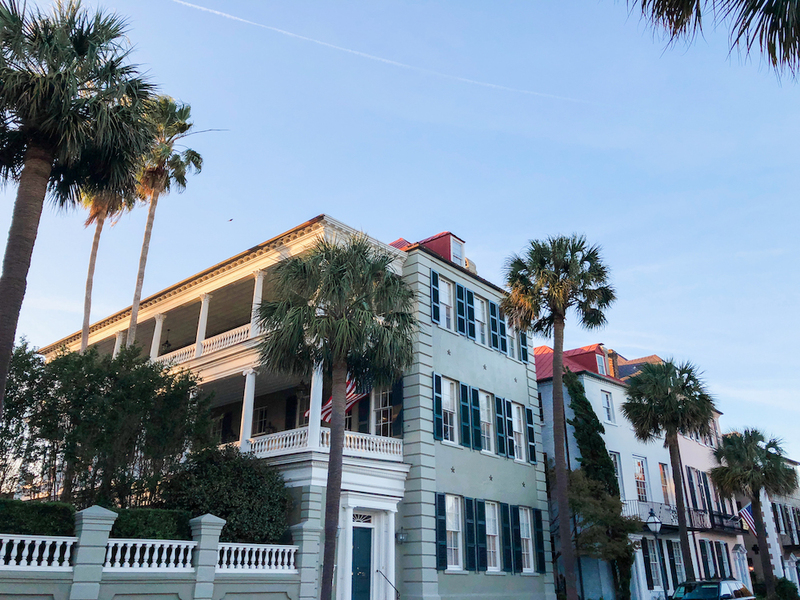 Some other beautiful and unique downtown accommodations include the Battery Carriage House Inn, The Inns, 1837 Bed & Breakfast, Andrew Pinckney Inn, and Planters Inn. 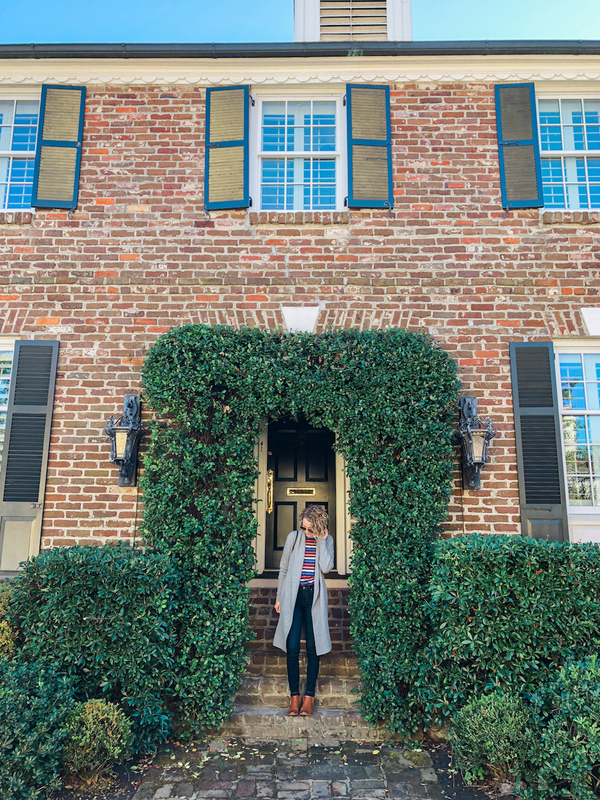 There are so many wonderful tours you can take in Charleston which include historic walking tours, food tours, pub and brewery tours, carriage tours, harbor tours, pirate tours, and ghost tours. I've learned my favorite way to explore a new city is to take a food tour. We went on the Savor the Flavors of Charleston tour hosted by Bulldog Tours. We had a wonderful tour guide take our small group of 8 to five different restaurants all within walking distance. We sampled fried green tomatoes, shrimp and grits, pralines, collard greens, sweet tea, crab soup, jambalaya, barbeque and more. It's a great way to try the best items on each restaurant's menu as well as hear the history of the city. I recommend going on a food tour the first or second day just in case you fall in love and want to go back! 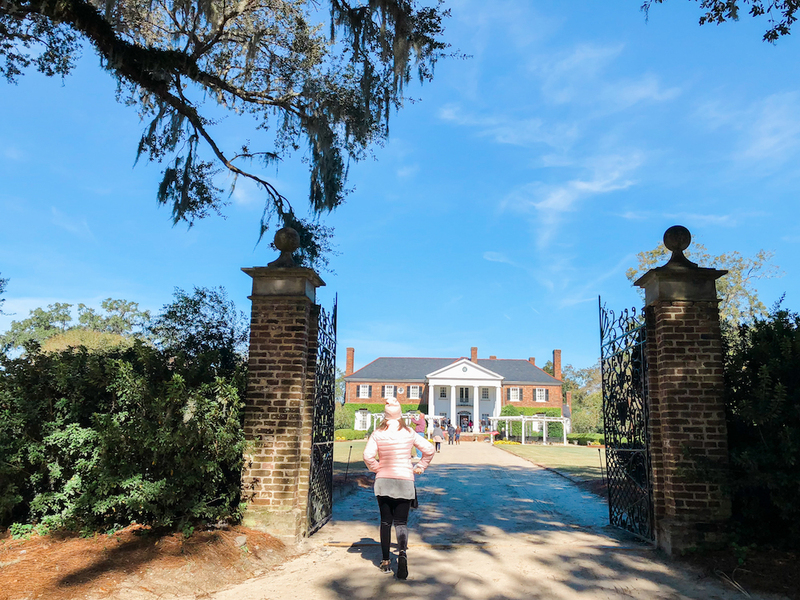 You can't get the full experience of Charleston without visiting a plantation. 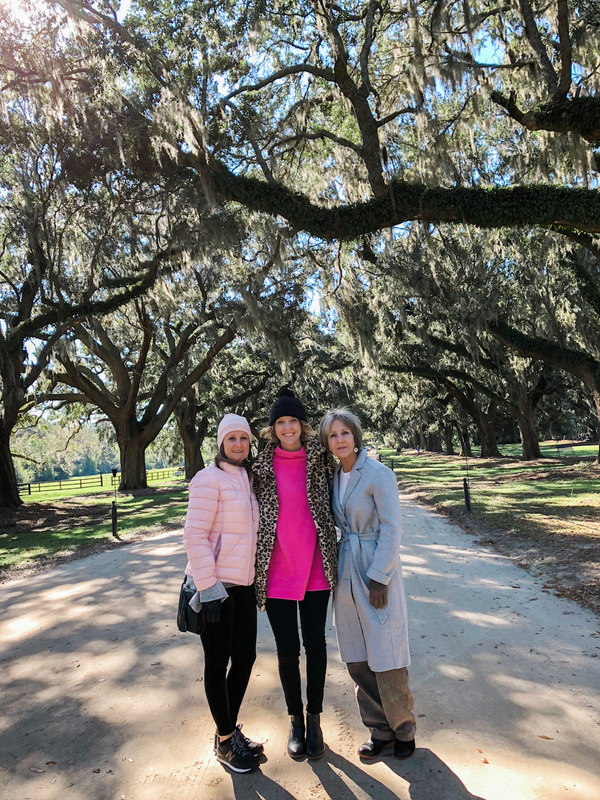 We booked our Boone Hall Plantation tour through our hotel and it was less than $50 a person, which covered admission and transportation from our hotel to the plantation and back. We were picked up at our hotel at 9am, and the drive was less than 30 minutes. Once we arrived there were lots of small tours included with admission that easily filled up 3 hours of our time. The Notebook was filmed at Boone Hall and Ryan Gosling and Blake Lively were married there. It is one of America's oldest working farms and they continue to produce strawberries, tomatoes, peaches and other produce throughout the year. Middleton Place is another beautiful plantation well known for its gardens (all 65 acres)! Nathaniel Russel House - This historic home was built in 1808, and is 9,600 square feet. You must purchase a ticket to tour the home which is $12 per person. Rainbow Row - Honestly once we arrived I had no idea because it wasn't as bright as I expected! Battery & White Point Gardens - Stroll this beautiful waterfront park while you admire the water and surrounding homes. This was the farthest destination we walked to from our hotel which was just less than a mile. Fort Sumter - A sea fort notable for two battles during the American Civil War. The fort is only accessible by boat. Take a tour for $21 per person. d I was fascinated to learn about their history from a woman who's family started the church when they fled Europe. Waterfront Park - Very close to Rainbow Row you'll find Waterfront park, which gives you great views of the Charleston harbor. Old-fashioned park benches dot the park, and the large lawn is a great spot for picnics. You will find two large and beautiful fountains here which are open for children to play in. 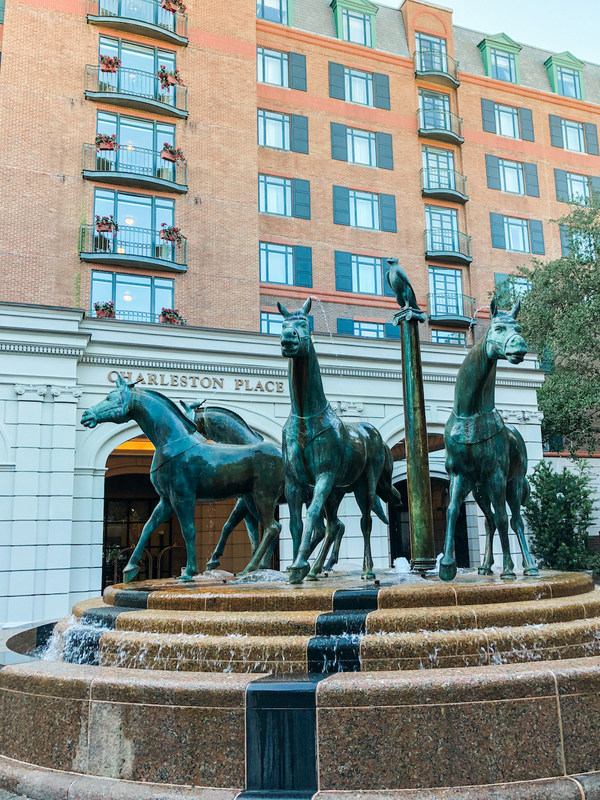 My favorite is the pineapple fountain which is the symbol of hospitality in Charleston. Charleston City Market - The #1 visited attraction in the city and was the central location of most of our activities. It is one of the nation's oldest public markets and the cultural heart of the city. There are more than 300 shops including food and drinks. It is open every day of the year except Christmas day. King Street - Historic King Street has some of the BEST shopping in the city! There are cute local shops as well as large retailers such as Kate Spade, Madewell and Anthropologie. The Tavern - Not a spot I planned to visit, but honestly was a highlight of our trip. Right after seeing Rainbow Row we saw a crowd around this tiny liquor store. We were invited in to for a moonshine sampling by the most entertaining man who gave us a hilarious and in-depth taste test of 4 different types of Palmetto Moonshine. My sister was also asked by a friend to pick up some infamous Firefly Sweet Tea Vodka. My sister and I were big wimps, but managed to taste all of the samples. 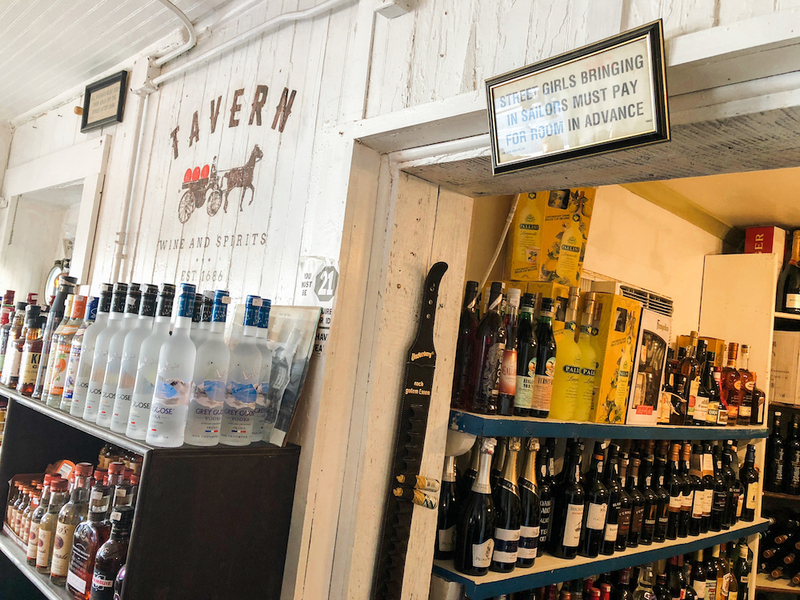 The Tavern is America's oldest liquor store founded in 1686. I highly recommend stopping by and grabbing a few samples to take home with you! If you love comfort food, you are going to love the Charleston cuisine! Southern inspired incorporating lots of seafood. 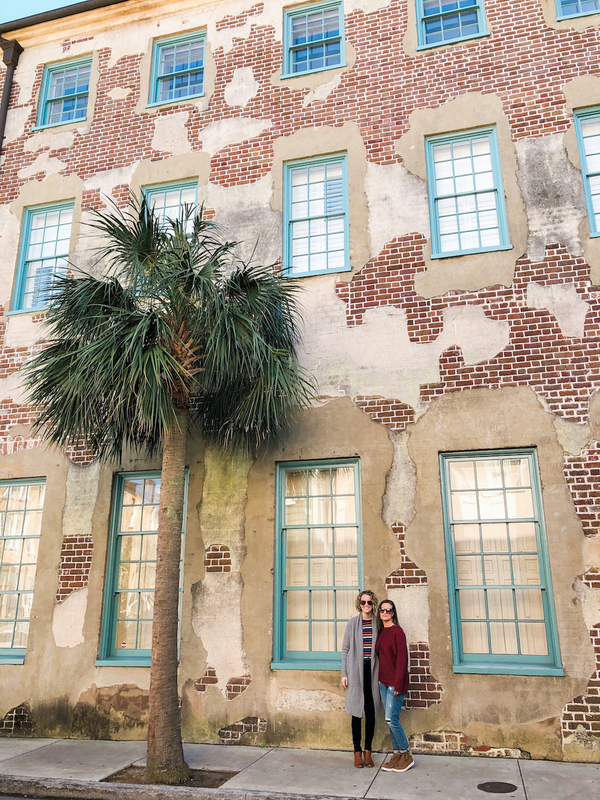 All of the restaurants we visited are within walking distance of historic downtown Charleston. Magnolias - One of the top rated restaurants in Charleston and they live up to the hype! You definitely need a reservation if you're planning on eating lunch or dinner here. We enjoyed fried green tomatoes, parmesan crusted catch, and their well known buttermilk fried chicken breast with mashed potatoes, collard greens, creamed corn, cracked pepper biscuit, and sausage-herb gravy. Upscale atmosphere with candles and fresh flowers on the table. Slightly North of Broad - An eclectic Lowcountry bistro with contagious energy! We headed to SNOB for a late lunch without a reservation and waited about 10 minutes to be seated. 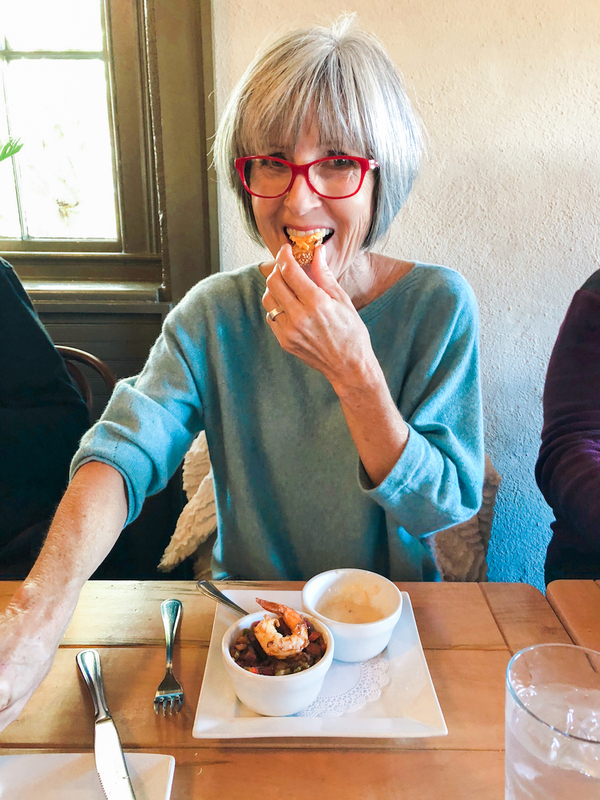 With a recommendation from our waiter we ordered the Shrimp and Grits (house sausage, country ham, tomatoes, green onions, garlic, Geechie Boy grits) and the Jump Lump Crab Salad (avocado toast, heirloom tomato salad, Bulls Bay red mash sea salt). Both were wonderful, and we had a great table overlooking the kitchen. Beautiful building with lots of character. Pawpaw - Seasonal, southern-inspired cuisine using the freshest local ingredients. We had to eat here, because it reminded us of my Dad and we heard great things! We split the Fried Brussel Sprouts served with apricot garlic-chili glaze, Buttermilk Biscuits served with pimento cheese, wildflower honey butter, and strawberry jalapeno jam, and the Custom-Blend Beef Burger. The biscuits were a bit dry, but the brussel sprouts and burger were delicious. 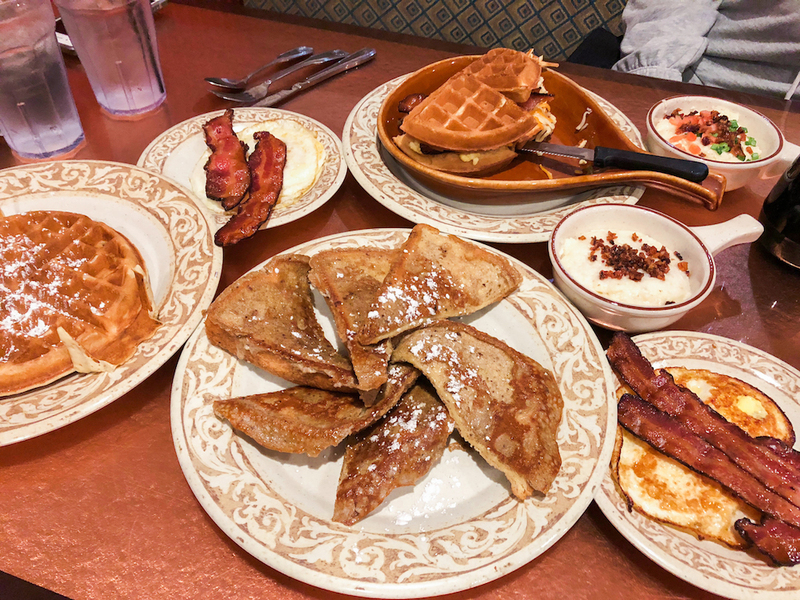 Another Broken Egg Café - We visited Another Broken Egg Café twice during our stay because we loved their breakfast! It was conveniently located right next door to our hotel, and they served the BEST fried green tomatoes and cheesy grits we'd had all weekend. Their French toast and waffles were also amazing. Even though it's a chain, I highly recommend if you're looking for an affordable and hearty meal! LowCountry Bistro - Casual environment with fresh farm-to-table ingredients from the local market with a hearty mix of Creole and French influence. We stopped here on our food tour and tried their famous She Crab Soup. Craftsmen Kitchen & Tap House - We stumbled into Craftsmen Kitchen & Tap House on a cold day and enjoyed their crispy Brussel sprouts, Fried Shrimp (yellow corn grits, marinated vegetables and tomato vinaigrette), Crunch Dame sandwich (BBQ pork belly, gruyere cheese, cherry jam, mustard aioli, sunny egg) and seasonal flights of beer. They had a TON of local beer on tap. Great atmosphere with two large bars. River Street Sweets - If you're walking by Charleston City Market, you can't miss this stop. As you're passing by you'll hear "FREE PRALINE SAMPLES!" and smell an amazing sweet scent. 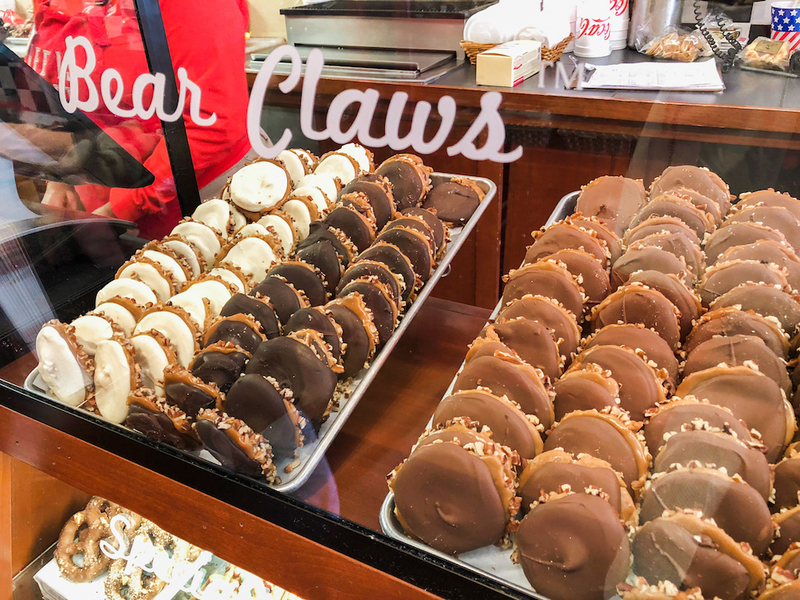 We couldn't help but stop in and try their famous pralines, and grab a few bear claws to take home. What some might call Turtles, they refer bear claws as chopped pecans and creamy homemade caramel topped with mounds of luscious milk chocolate. Is your mouth watering yet? 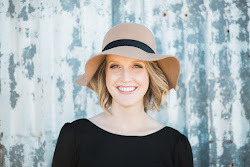 I've also heard great things about Callie's Hot Little Biscuit, Husk Restaurant, Fig, Sugar Bakeshop, 167 Raw (oyster bar), Poogan's Porch and Hominy Grill. 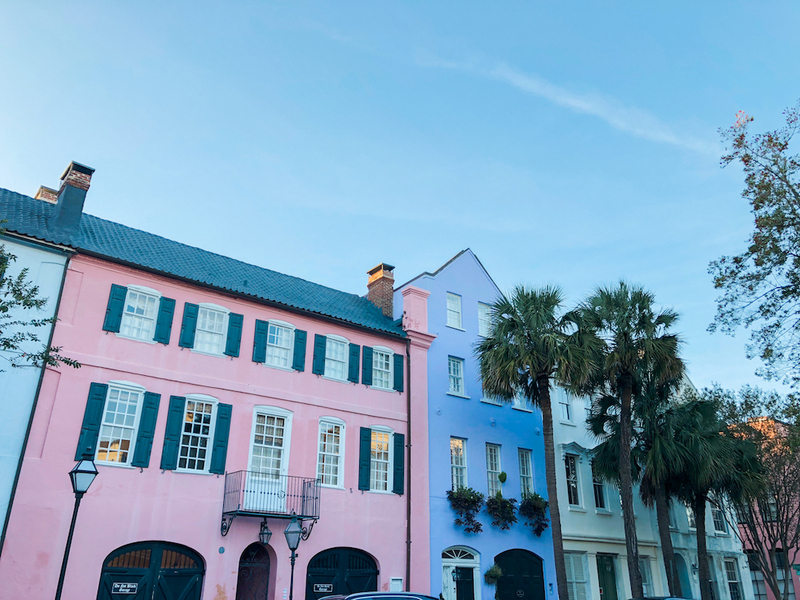 Charleston is a great place for a couples trip, girls trip or the entire family! 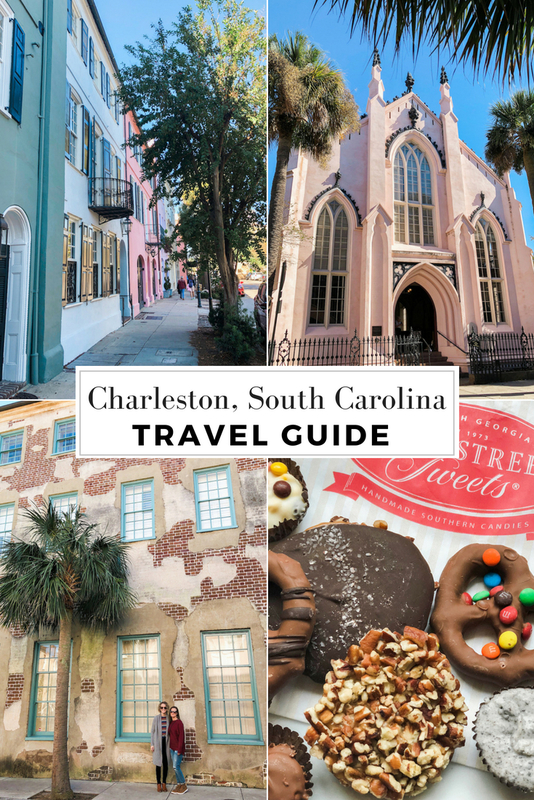 For more guides and great resources check out Charleston CVB! Ahh...you have me so dreaming up a trip with my mom! It's been several years since I've taken her anywhere and this looks perfect! What a fabulous time and girl...praise for your amazing genes because your momma is gorgeous.